Dina’s gone. She left a note, she left her plants, and she left what her husband, Roal, thought was her entire world. Nothing remained but some frozen dinners and the mysterious last line of her final message: I do love you ever Dina. Professor Roal Bowman, best known in the sleepy college town of Braddock as a fake Zen master who used to pretend to be Native American and never lived up to his potential, by no means saw it coming. How could he have guessed that his wife would run away to help the famous Winter Patent, a man who had literally lived with wolves, on a grand project to embrace the consciousness of trees? He thought Dina had been happy. But the more Roal digs, the more he realizes that he never truly knew or understood his wife, that he never really listened, and that now that Dina has disappeared, he must become something more—something real—if he hopes to get her back. And he’ll have to do it quickly: he’s not the only one who wants to find Dina and Winter. 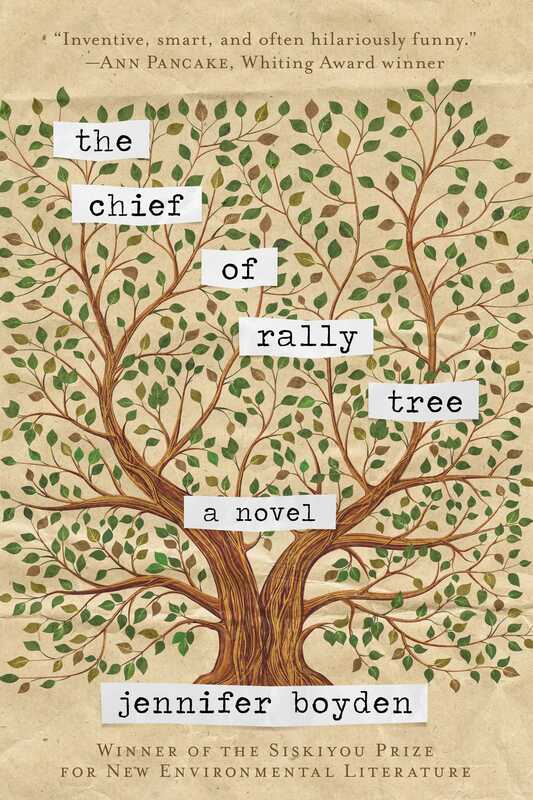 The Chief of Rally Tree unfolds around Roal’s fumbling, poignant, darkly hilarious awakening to adventure and loss as he watches his life gain focus only once he understands how it might look on the evening news. Jennifer Boyden explores in poetic prose the essential questions about what identity is when it is open for collective definition, the effects of looking to media for structure and meaning, the pull toward eco-consciousness, and what our grand moment of action reveals about who we hope to become, even as we remain open to the surprise of how.